As an international and interdisciplinary platform, FASHIONCLASH organizes a variety of events and projects to showcase the work of new generations of designers and artists. The main event is the FASHIONCLASH Festival, an annual international fashion festival that features emerging talent from a range of disciplines. Berlin Alternative Fashion Week is a platform showcasing the rise of alternative concepts in fashion. With a weeklong program of shows and marketplaces, it aims to promote influential, genre-breaking innovators and connect them with established contemporaries in the fields of fashion, music, and art in a context that isn’t constrained or dominated by big brands and labels. Brighton Fashion Week was born by serendipitous necessity, the need to give voice to the creative individuals that are taking control of their creativity, their work, their output, and their vision. Working with and not for designers, Brighton Fashion Week has for 10 years offered a platform for designers, artists, costumers, and explorers the opportunity to showcase their talents. For an outstanding 25 seasons, Vancouver Fashion Week has brought emerging talent from around the world to their runway. Diversity and multiculturalism are celebrated in the heart of the bi-annual fashion shows. By providing an accessible platform to designers, buyers, media, and industry professionals, VFW leads its participants on a path to success in the world of fashion. Founded by the non-profit BK|Style Foundation, Fashion Week Brooklyn puts on a bi-annual show featuring designers from around the world. FW|BW goes beyond fashion to support and raise awareness for social issues like human rights, HIV/AIDS, poverty, and community development. Proceeds from each season support charitable organizations. Serbia Fashion Week is the country’s leading voice in international fashion. With partnership agreements from 16 European countries, Serbian designers are able to showcase their work across the continent in fashion shows, educational workshops, exhibitions, and competitions for students studying fashion. SFW encourages the exchange of ideas, creativity, and talent across borders. Copenhagen Fashion Week is the largest fashion event in the Nordic Region. With its mix of Danish and international talent, the shows attract an enormous number of designers, buyers, and press from around the world. Every February and August, Copenhagen Fashion Week fills its catwalks and trade fairs with a diverse array of progressive fashion brands. Showcasing contemporary design from countries across Africa, Africa Fashion Week aims to foster economic cooperation between nations around the world while simultaneously promoting African designers and brands. 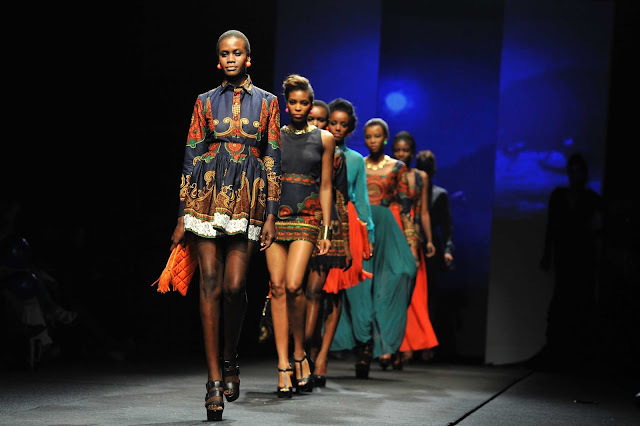 Founded by New York public relations and communications firm Adiree in 2009, Africa Fashion Week puts on shows in fashion capitals like New York, London, Paris, Milan, Berlin, and Tokyo to expose the African fashion industry. With a weeklong program of world-class runway shows, workshops, seminars, forums, and live entertainment, Melbourne Fashion Week offers both up-and-coming and established designers in Australia the opportunity to make their work known to the world. The Melbourne Fashion Festival will celebrate its 20th edition next March. A crowd-sourced runway show, VFILES MADE FASHION offers young talents in the fashion world the opportunity to show their work on runways like New York Fashion Week. VFILES is an online community that enables all those involved in the fashion world, from designers to photographers and stylists to fashion fans, to get exposure digitally and on the runway.